She survived against all odds. The first girl born in fifty years. They called her EVE. 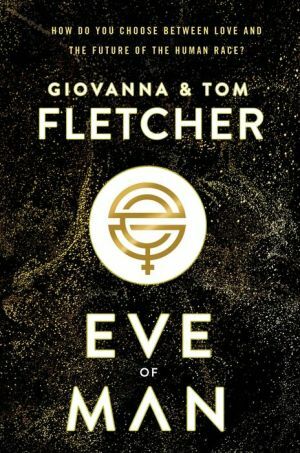 Scythe meets The Handmaid's Tale in this gripping new dystopian trilogy written by UK-bestselling authors Tom and Giovanna Fletcher. On the first day, no one really noticed. All those babies wrapped in blue blankets--not a pink one in sight. On the third day, people were scared--a statistic-defying abundance of blue. Not just entire hospitals, not only entire countries, but the entire world. Boys. Only boys. Until Eve. The only girl born in fifty years. The savior of mankind. Kept protected, towering above a ruined world under a glass dome of safety until she is ready to renew the human race. But when the time comes to find a suitor, Eve and Bram--a young man whose job is to prepare Eve for this moment--begin to question the plan they've known all along. Eve doesn't only want safety, and she doesn't only want protection. She wants the truth. She wants freedom.